These Forgefix General Purpose Pozidrive Screws with Countersunk heads are zinc plated for increased durability. 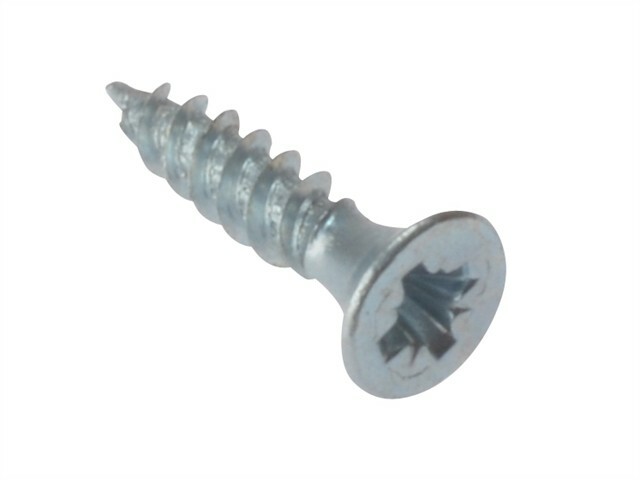 They are an extremely popular general purpose screw, and suitable for use in and with many materials. The countersunk head is designed to sink flush with substrates to leave a smooth surface finish. They have twin threads, which enable an easy start when driving.